Watch the demand grow for an ad free public space! 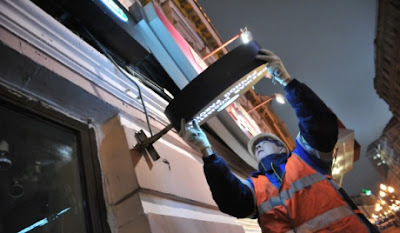 Moscow authorities plan to remove all advertisements from the city's historical buildings, Moscow Mayor Sergey Sobyanin said. In particular, in the next two weeks a gigantic logo of Mercedez will be removed from the roofs of one of the historical buildings near the Kremlin. Sobyanin said that such billboards and logos often spoil the view of the Russian capital.